Death Penalty: In flux, following August 2, 2016 determination by the Delaware Supreme Court that the state's capital sentencing statute violated the Sixth Amendment to the U.S. Constitution. 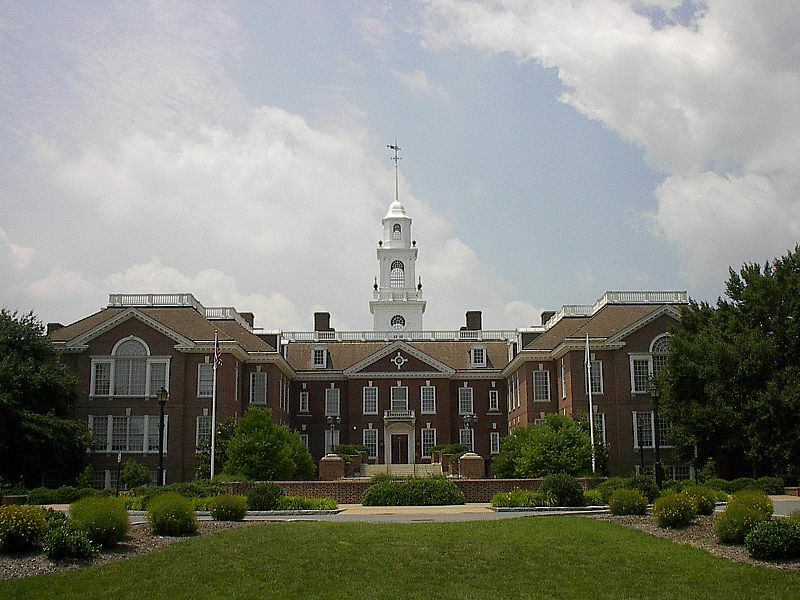 Delaware State Capitol. Public domain photo. The death penalty began in Delaware in 1662 with the state's first hanging. The official method of execution for Delaware was hanging until 1986, when lethal injection became the new official method, with the exception of those already sentenced to death by hanging. The gallows were disassembled in 2003 when there was no longer a chance of an inmate choosing death by hanging. The legislative stance on the death penalty has changed over time, with the state repealing and reinstating the death penalty prior to the federal repeal and reinstatement. 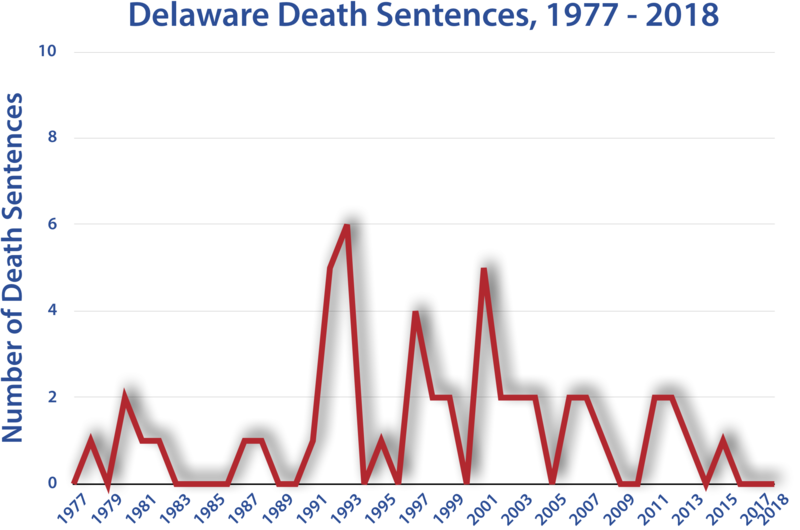 The death penalty is currently an option for convicted murders in Delaware, and while the death penalty has not been heavily pursued in recent years, the state has one of the highest per capita execution rates in the U.S.
1662 – First known execution in Delaware, an unknown person is hung for attempted murder. 1731 – Catherine Bevan burned alive for the murder of her husband. 1958 – Delaware becomes the second state to abolish the death penalty. 1961 – The Delaware legislature overrides the governor’s veto, reinstating the death penalty. 1972 – The Supreme Court strikes down the death penalty in Furman v. Georgia. 1973 – The Delaware Supreme Court finds the state death penalty law unconstitutional under Furman. 1974 – The Delaware legislature passes a new capital punishment law making the death penalty mandatory for first-degree murder. 1976 – The Supreme Court reinstates the death penalty in Gregg v. Georgia. 1977 – Delaware rewrites its capital punishment statute to conform to Woodson v. North Carolina, a case prohibiting mandatory death sentences. 1986 – Lethal injection replaces hanging, although persons sentenced before this date can still choose to be hung. The sentence is carried out in a mobile trailer. 1991 – Public outcry after a hung jury sentenced four defendants to life without parole leads state legislators to grant the ultimate sentencing authority to judges in capital cases. 1992 – First post-Gregg execution in the state, Steven Pennel dies by lethal injection. 1996 – Billy Bailey chooses to be executed by hanging, is the last person executed using this method in Delaware. 2002 – In response to the Supreme Court’s decision in Ring v. Arizona, Delaware changes its capital punishment law to require juries to find whether the defendant is eligible for the death penalty. 2003 – Delaware gallows are taken down. 2012 – Delaware Governor Jack Markell grants clemency to death row inmate Robert Gattis, the first death penalty clemency in state history. Billy Bailey was the last inmate to be executed by hanging in Delaware and was the third inmate hung in the United States since 1976. Bailey was convicted in 1980 for the murder of an elderly couple, Gilbert and Clara Lambertson. He was given the choice between death by lethal injection, the new option for death row inmates, or the hanging to which he was originally sentenced. He claimed he did not want to be treated "like a dog put to sleep," so he was hung on January 25, 1996. This was the last time the two-story gallows would be used in Delaware, as they were disassembled in 2003. Robert Jackson was executed on July 29, 2011 for the murder of Elizabeth Girardi, who was hacked to death with an ax in 1992 when she came home and saw robbers trying to flee her house. Jackson was 18 years old at the time of the murder and spent 18 years on death row. He appealed the use of new anesthetic, pentobarbital, but was unsuccessful in his appeal. This new anestheic is now being widely used due to the national shortage of sodium thiopental. Jackson claimed he was innocent until his execution when he implied that his accomplice in the robbery, Anthony Lachette, was the individual responsible for the death of Girardi. Lachette was released from prison in 1996 after serving his sentence from pleading guilty to conspiracy and burglary. On April 2, 1958, the death penalty was outlawed when Governor Boggs signed a law that prohibited the sentence in capital cases. This was short-lived since the Delaware Legislature passed a bill, overturning the previous bill, to reinstate the death penalty. The death penalty was reinstated on December 18, 1961, overriding the veto of Governor Carvel. In the 2015-2016 legislative session, Governor Markell announced that he would sign an abolition bill if it passed the legislature. The bill passed the state senate in April 2015 and was released by the House Judiciary Committee in January 2016 for consideration by the full House, where it failed to win approval. The House tabled reconsideration of its vote pending the outcome of a court case, Rauf v. State, challenging the constitutionality of the state's capital sentencing procedures. 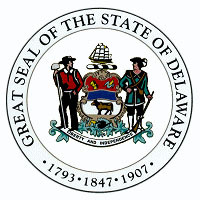 On August 2, 2016, the Delaware Supreme Court ruled that the statute violated capital defendants' right to a jury trial by allowing the judge, rather than the jury, to determine whether the prosecution had proven all the facts necessary to impose a death sentence and by permitting death sentences to be imposed without a unanimous jury vote that aggravating circumstances (reasons for death) outweighed mitigating circumstances (reasons for life) beyond a reasonable doubt. On August 15, the Attorney General announced he would not appeal the decision. A Senate bill passed in 1994 requires that all executions take place between 12:01 AM and 3:00 AM. Delaware has granted only one clemency to a death row inmate since the reinstatement of the death penalty. Robert Gattis was granted clemency on January 17, 2012.